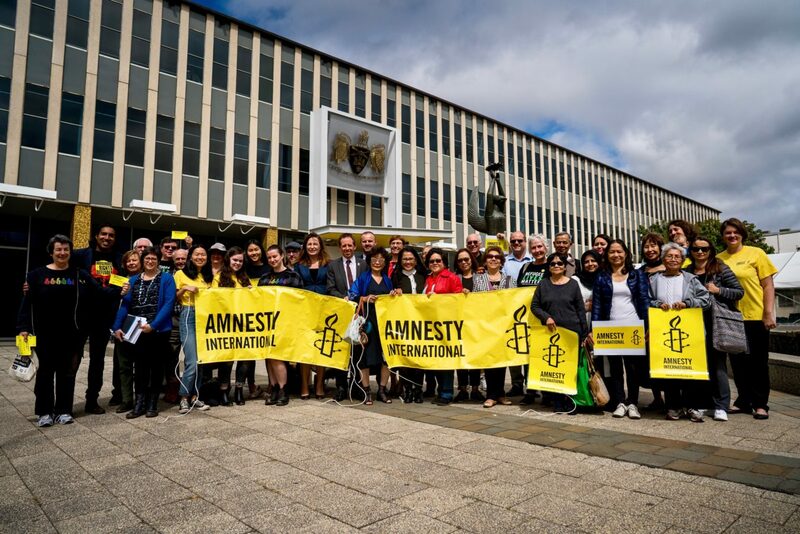 (c) AIA/ Benjamin Murphy: Amnesty ACT activists, MLAs, refugees and staff celebrate ACT community sponsorship motion. The Australian Capital Territory today marked a significant milestone in Australia’s response to the global refugee situation, with Labor, Liberal and Greens MLAs voting unanimously to call on the Federal Government to broaden the refugee community sponsorship program. “The ACT Parliament is the first at any level of government in Australia to get behind expanding this neighbourhood-led solution to the global refugee crisis,” said Shankar Kasynathan, Refugee Campaigner at Amnesty International Australia. Community sponsorship is a model where ordinary members of the community sponsor visas for refugees from around the world, who wish to begin the process of rebuilding their lives in Australia. The motion, led by MLA Shane Rattenbury, calls on the Federal Government to make the intake of refugees under community sponsorship separate from the existing humanitarian intake, and to lower the program’s prohibitive visa fees. 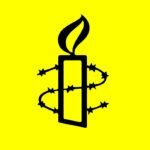 “The ACT is one of almost 150 local government areas across the country that have already declared themselves Refugee Welcome Zones, saying they are ready to receive their new neighbours. Now that the ACT has led the way, we hope other State and Territory governments and local councils around the country will take their commitment one step further by adding their voices to the call for a greater community sponsorship program,” said Shankar Kasynathan. The community sponsorship model has worked successfully for almost 40 years in Canada, which has welcomed over 280,000 refugees through the program, in addition to its humanitarian intake. In contrast, Australia’s community sponsorship program is capped at only 1,000 places this year, and each time one of these is allocated, a place is lost out of the 13,500 in the humanitarian program. “We can see from Canada’s example that the kindness of neighbours can help people who have lost everything to start again. We hope ordinary people across Australia will see the success of this and say, ‘Let’s do our bit and help bring these vulnerable people to safety’,” said Shankar Kasynathan.